It’s no surprise that the relaxing powers of certain essential oils can really enhance your yoga practice. Often used for meditation and stress relief, aromatherapy can invigorate, relax, and provide clarity. Essential oils help prevent wellness for the body and the mind, which are both also benefited by your yoga practice. That’s why they go so perfectly together. 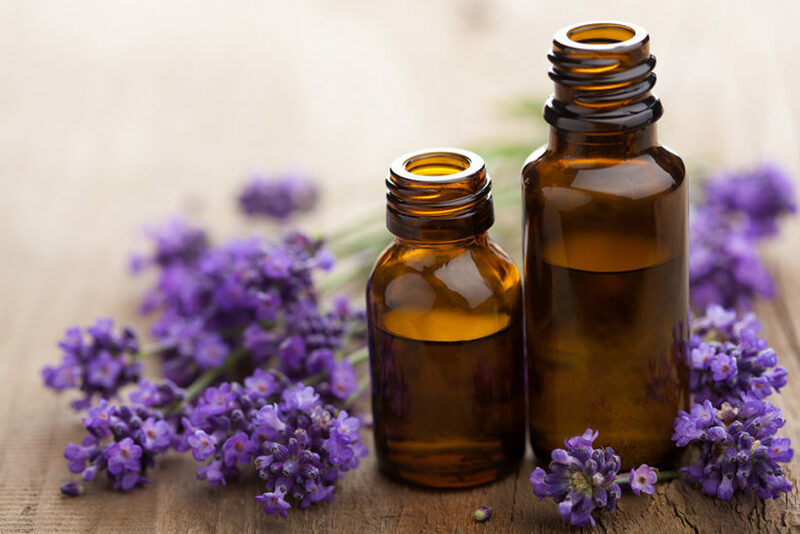 Depending on your goals and your personal scent preferences, there are many different essential oils to consider for your practice. 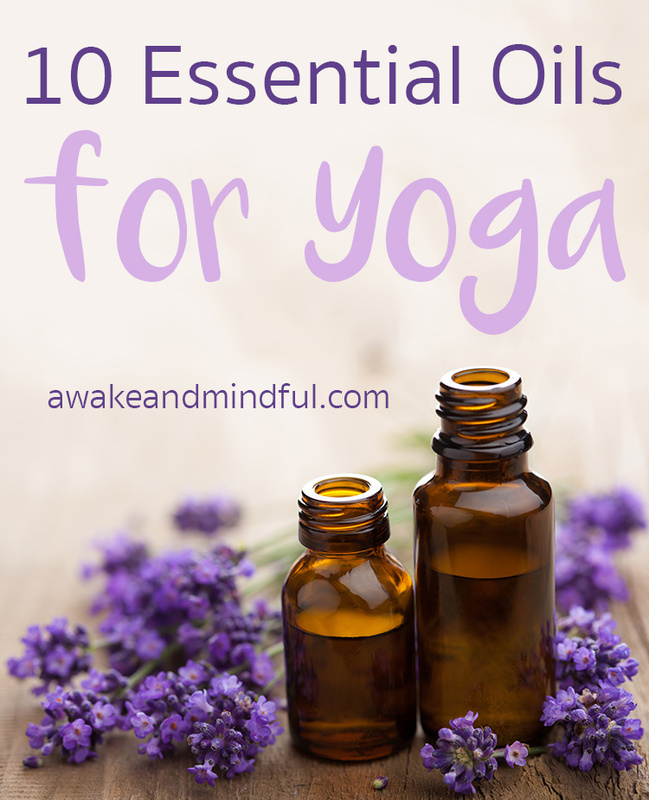 Here we’ve highlighted some of the best essential oils for yoga and also outline ways to use them to enhance your yoga practice. Lavender is one of the most popular essential oils thanks to its calming and stress relieving effects. It’s no surprise that many yoga instructors incorporate it into their classes. It’s frequently used during savasana at the end of class to relax everyone as their bodies calm from the practice. Some teachers will even apply lavender oil to their hands before adjusting or massage student’s shoulders and necks. 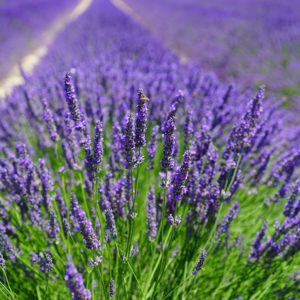 Using lavender will help create a calm atmosphere and help your mind release stress and tension as you practice. This scent is particularly good to use if you meditate in conjunction with your yoga practice. Lavender oil has a strong floral scent that is fresh and sweet. Another favorite oil used frequently at the end of yoga class, Eucalyptus oil comes from the leaf of the plant. It has a long history of medicinal use (especially for respiratory issues like congestion) and is frequently used in fragrances. Eucalyptus oil is also frequently used in massage thanks to its ability to ease muscular pain. That makes it particularly good to use at the end of a strenuous practice or to cool down after a hot yoga class. It’s also the perfect essential oil for when you’re trying to practice while getting over a cold or dealing with allergy congestion. Eucalyptus oil has a woody-sweet scent. If you’re having one of those days where your mind is scattered or your anxieties are running a mile a minute, then Sandalwood oil is going to bring the focus you need to your yoga practice. Use frequently for meditation because of it’s calming properties, it will help you bring your attention back to your body and the moment. It also helps foster inner peace to banish hectic thoughts and distractions. When used for aromatherapy, sandalwood is also helpful for depression and dealing with low self-esteem. Sandalwood oil has a woody scent with a bit of sweetness. Since it’s often used in both perfumes and colognes, many men feel more comfortable using sandalwood essential oils over more floral fragrances. If you’re practicing yoga first thing in the morning or feeling sluggish or drained of energy, lemongrass oil is the perfect essential oil to add to your practice. Citrus scents are very energizing and although lemongrass comes from a tropical grass rather than a fruit, it is rightfully named for its bold lemon scent. Lemongrass oil is the perfect complement to early morning Sun Salutations, for an afternoon pick-up, or to counteract the blahs caused my gloomy winter days. In addition to adding an energy boost to your practice, lemongrass can help lift your mood and add extra focus to your asanas. It’s no surprise, lemongrass oil has a fresh, lemony aroma. If you want to feel rejuvenated after your practices, cypress is one of the best essential oils for yoga. Steam distilled from the needles of the cypress tree, this pale yellow essential oil provides an energy boost and helps increase concentration. If you’re coming to your mat to do energizing poses, cypress oil will help invigorate your asanas. Known for increasing blood flow and encouraging positive emotions, cypress can benefit both your mind and your body as you practice. 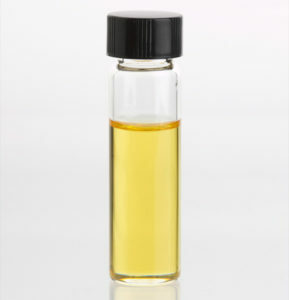 Cypress oil is another fresh, woody scent that blends well with florals, mints, and citrus oils. If yoga is part of a spiritual practice for you, bergamot oil is a nice compliment to your practice. If you’re new to aromatherapy, you may not be familiar with this oil. It’s made by cold-pressing the rind of a bergamot orange. It has the subtle scent of an orange, with great complexities. (If you drink tea, you’ll notice it is the same aroma as Early Gray tea, as it uses bergamot for flavoring). Used frequently in aromatherapy for treating depression and grief, it’s a nice compliment to your practice when you’re seeking spiritual nourishment. It is uplifting and can help energize you on days when your mood is low. 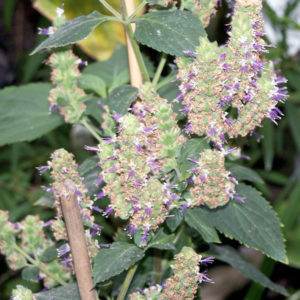 Patchouli was popular in yoga studios way before the essential oil trend began, since it was a key ingredient in incense. Because the dried leaves of the plant are used to create a dark golden brown essential out, you can easily use it to compliment your yoga practice. 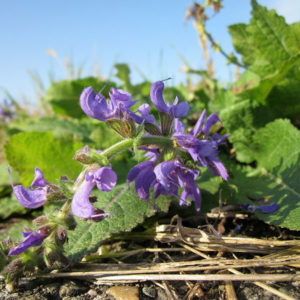 Patchouli is a grounding oil that helps relieve stress and anxiety. It is very centering and perfect if you’re trying to connect with your heart chakra. Newbies to patchouli can find it to be an acquired scent. The scent is often described as an earthy and woody aroma, with a hint of fruitiness. Many people who practice aromatherapy suggest buying patchouli oil as soon as possible because the oil’s scent improves with age, similar to a nice wine. Some people even grow patchouli themselves to enjoy the scent of fresh patchouli leaves and to dry them for personal uses. Peppermint is one of my favorite scents. It reminds me of being cozy and sipping tea, while providing a fresh and invigorating scent that inspires an energetic workout. 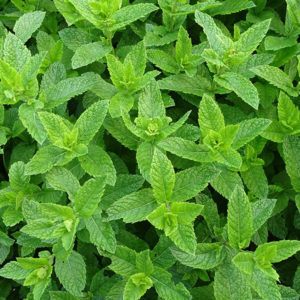 As an oil made from steam distilled peppermint leaves, it’s much more concentrated than other oils, so it is easily diluted in water to make sprays or diffuse into the air. (Spearmint is a nice alternative if peppermint is too intense for you.) For aromatherapy, peppermint oil helps stimulate creativity, emotions, and awaken your sexuality. Peppermint oil benefits a yoga practice in many ways. It’s very stimulating, so it can help increase your energy levels if you’re feeling sluggish (make sure to avoid it close to bedtime because it can affect sleep). It’s also fantastic for relieving muscle aches and pains. Peppermint oil is frequently used on a cool towel to drape over your face during final relaxation or to wipe off sweat at the end of class. 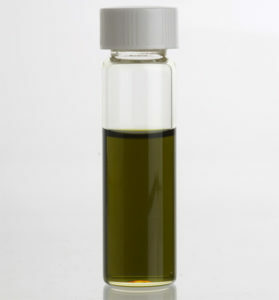 The menthol in the oil has an extra cooling effect that is perfect after hot yoga. Peppermint oil has a fragrant fresh and minty scent (think peppermint candies with some extra pow!). If you’re struggling with control issues and using yoga to help you surrender and release, chamomile will help you in your journey. 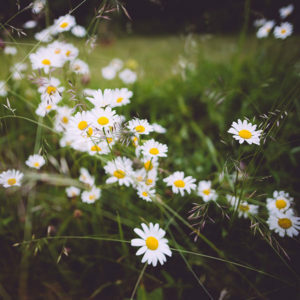 Those lovely white daisy-like flowers you see growing in fields during summer months make a powerful, clear essential oil with a bluish-gray tint. You probably already know about the relaxing effect of chamomile, which is commonly used in herbal tea blends. It’s also a lovely compliment to a stress relieving meditation. For after work or bedtime yoga, chamomile oil is perfect to help you unwind and release the tension and worries from your day. It also helps fight insomnia and call an anxious mind. Use it to help surrender to your practice and let go of the need to feel in control of everything and everyone in your life. The scent of Roman chamomile oil is a strong, sweet herbal scent. It pairs well with lavender oil for relaxation and preparing for sleep. If you need an infusion of positivity in your day, clary sage is a spiritually uplifting oil. Made from a fragrant herb with purple flowers, clary sage oil has been used medicinally for centuries and it a fragrant addition to perfumes. Like many of the essential oils for yoga on our list, clary sage provides stress relief, but it’s also great for times of emotional turmoil. It can help lift your mood and increase energy levels. Combining it with positivity inspiring asanas to lift your mood and improve your day. The scent of clary sage is earthy but has herbal and fruity notes. There are many different ways to incorporate essential oils into your personal yoga practice. You may need to try a few different techniques to find the best one for you or you may discover you like different applications for different oils. Diluted essential oils can be applied directly to your body. This can be done by making an essential oil blend yourself using a carrier oil (like coconut or almond oil) or buying a diluted oil blend in a roll-on bottle. Popular locations to apply essential oils for yoga is on the wrist, the neck, behind the ears, the temples, or the crown of the head. Note: If you have sensitive skin, make sure to patch test any oils before use. Also, you want to avoid getting essential oils on your mat since they can degrade the material and reduce the stickiness. Make sure not to apply to any parts of your body that will touch the mat. If you’re looking for a short-term boost of aromatherapy scents, you can create an essential oil spray to mist the air before or during your yoga practice. 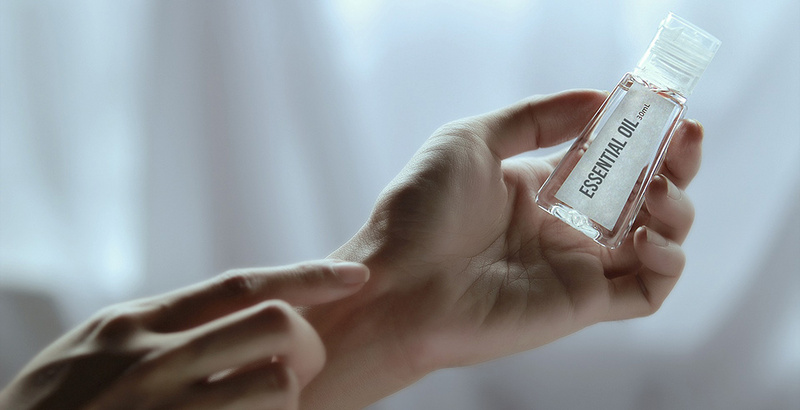 While there’s plenty of pre-made mists you can buy, making your own customizable scent is easy once you own the oils. Select your favorite scents from the list above. Take a clean spray bottle and fill it with distilled or filtered water. Then add 10-20 drops total of your favorite essential oils. Allow the mixture to rest for about 24 hours so the different scents can marinate together. You can also use essential oils in a DIY yoga mat cleaning spray. If you don’t like dealing with the hassle of essential oils, diffusers, or sprays, an essential oil candle is a great alternative to add aromatherapy to your yoga practice. Don’t just pick up any nice smelling candle you see at the store. For aromatherapy, you always want to seek out non-toxic options. Most candles are made from paraffin, which is toxic, so instead search for candles made from soy or beeswax. They should also be scented by all natural essential oils and no artificial fragrances. Check out these aromatherapy candles for meditation for some ideas on scents and candles to buy. Aromatherapy diffusers have quickly become one of the most popular ways to use essentials oils for yoga and meditation. Easy to use and available in a variety of styles for different budgets, a diffuser disperses the scent of an essential oil into the air so you can receive the benefits while you practice. Ultrasonic and humidifying diffusers (like the one pictured right) have become extremely popular because they use water that not only delivers the aromatherapy benefits of the oil but also helps to humidify the room. You can also use an essential oil nebulizer which does not dilute the oils while dispersing them in the air. Check out our recommendations for the best essential oil diffusers for yoga and meditation. This is a really nice solution if you don’t want essential oils sprayed in the air or applied to your body and only plan on using them during savasana or meditation. Many of these soft and relaxing eye pillows come scented with lavender essential oils, but you can also use an eye mask and apply your own oils. While the essential oils calm your body and mind, the eye pillow helps block out light and distractions so you can deeply relax or meditate. They’re really nice on stressful days or when you’re doing restorative yoga before bed. When you’ve finished your yoga practice, especially after a strenuous or Hot Yoga class, a refreshing way to cool down is to use a damp towel with a little essential oil. Lavender, mint, and eucalyptus are commonly used and a great way to help you feel refreshed after your practice. You can also drape it over your face during savasana to reach a deeper level of relaxation. While essential oils can greatly enhance your yoga practice, there are a few things to keep in mind. If you are using the oils directly instead of diffusing them in the air, do not apply undiluted oils to your yoga mat. Essential oils can degrade the rubber and ruin the stickiness of your mat. Instead, apply them to a yoga towel or other cloth accessory. If you attend yoga classes, be careful with your essential oil usage. You do not want to bother any other patrons of the class. People with allergies or asthma could be negatively affected by inhaling your essential oils while practicing, so spraying essential oil mists is not a good idea unless you talk to your classmates and instructor to verify it’s ok.
Make sure that if you’re using essential oils directly on your body, you dilute them in a carrier oil first. The information on this page is not medical advice. Make sure to consult with your doctor before using essential oils or starting a yoga practice. Want to learn more about incorporating essential oils into your life? Learn about the best essential oils for meditation and essential oil diffusers.